The Sacred Hearts Academy Ka Leo editorial team was named 2nd Best Newspaper in the State (again!) at the 2019 Hawaii High School Journalism Awards (HHSJA) luncheon, held April 17 at the Pagoda Hotel. In addition, our students brought home numerous First in State Awards including: News, Features, Profile, Column, Blog, Infographic and Multimedia. Special congratulations to Martha Nicholas, '19, on being named Most Valuable Staffer! To participate in this award-winning publication, Academy students should speak to their counselor or Mrs. Alyssa Myers to join the Ka Leo team! Congratulations to Lancer of the Month Ashli Sordillia, ‘19, a member of the Lancer Athletics Varsity Softball Team and the Academy's Trimble Scholars! Ashli is a joy to be around and tends to be the “mother hen” looking after the emotional needs of her classmates. She is quick to share humor and welcome people into her friend group. Congratulations Ashli on being named April's Lancer of the Month! Sacred Hearts Academy invites you to show your support of Academy Alumnae, Dr. Desiree Medeiros Glaser, '82, Alana Glaser, '18, and current sophomore, Alyse Glaser, '21, in their family effort to raise awareness and funds for the St. Baldrick's Foundation! Both Desiree and her husband, Dr. Darryl Glaser are Pediatric Oncologists at the Kapiolani Children’s Blood and Cancer Center. Their children, Alana and Alyse, have grown up knowing children with cancer and the devastating effects cancer can have, and are excited to join their mom and dad in support of these brave warriors and show their support toward Conquering Childhood Cancers. This year, the entire Glaser 'ohana has volunteered to shave their heads to raise money for Childhood Cancer Research and to show solidarity with children with cancer. “The St. Baldrick’s Foundation is a volunteer and donor powered charity committed to supporting the most promising research to find cures for childhood cancers and give survivors long and healthy lives.” Since 2005, St. Baldrick’s has funded over $258,000,000 in research grants for Childhood Cancer Research with Honolulu events contributing to over $680,000 for the St. Baldrick’s Foundation. Join them at the 9th Annual Honolulu St Baldrick’s Event on April 28, 2019 at Mai Tai Bar at Ala Moana Shopping Center at 12 noon to 4 pm. 3. Attend the event and cheer the Glasers on! Girls' Day, also called Doll's Festival (Hinamatsuri), is celebrated on March 3 to pray for the health and happiness of young girls in Japan. Academy students enrolled in Japanese II Honors celebrated Hinamatsuri with their Pre-School sisters by engaging in a variety of cultural activities together. With the high schools taking the lead, the girls taught their sisters about Hinamatsuri and even provided a lesson in Hiragana with the girls learning to write Hinamatsuri, ひなまつり, in Japanese characters! leader Betty White retires this summer. Do you subscribe to the Star-Advertiser? Check out an article by Susan Essoyan featuring Sacred Hearts Academy's new Head of School, Dr. Scott Schroeder. 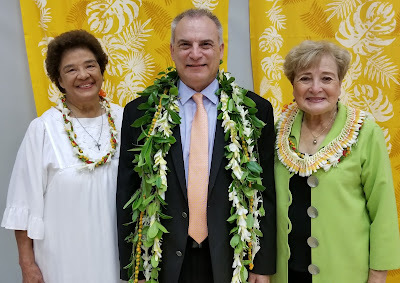 After a nationwide search, Sacred Hearts Academy has decided the best person to replace its longtime leader, Betty White, is right in its Kaimuki neighborhood. Scott Schroeder, professor of management and dean of Chaminade University’s School of Business and Communication, will be the first male head of school in the 110-year history of the all-girls Catholic institution. He will join Sacred Hearts on July 1. “Every day we teach our girls that gender doesn’t matter,” Gwen Yamamoto Lau, chairwoman of the academy’s board of directors, said in an interview. “It’s the person most qualified for the job, for the team, for the play, whatever it is. … So similarly, when we were selecting our head of school, gender did not stand in the way of us selecting the very best candidate." The move does not signal any change in its commitment to women’s education, officials said. White came to Sacred Hearts fresh out of college as a teacher, and her career there spans 48 years, the last 28 as head of school. In January 2018 she announced her intention to retire, and she will overlap with her successor for a month before retiring July 31. Schroeder knows the school well already, having served on its board of directors since July 2013 and as chairman as of July 2017. He stepped down from the board in October to apply for the position as head of school. “He is such a humble leader, it was not until he actually applied and we reviewed his resume, I was just blown away at his caliber and credentials,” Lau said. Sister Regina Mary Jenkins, president of the Sacred Hearts Academy Corporation, cited Schroeder’s “proven track record and vast experience in education” in announcing the appointment Thursday. Schroeder earned his bachelor’s degree from Santa Clara University, his M.B.A. at Arizona State University and Ph.D. from the University of California at Los Angeles, specializing in management and psychology. He also did postgraduate work as a fellow at Harvard’s Institute for Management and Leadership in Education. “I am committed to Sacred Hearts being a school where you can’t wait to get to in the morning, a place where you are helped to do your best and develop great memories,” he told students and faculty at an assembly Thursday. Along with his Chaminade experience, Schroeder developed a graduate program at Antioch University, taught at Claremont Graduate University and was dean of academic affairs at the Bainbridge Graduate Institute. Lau called his focus on organizational leadership and strategy “a huge plus” along with his commitment to teaching. The school has 885 students in preschool through grade 12. With a faculty and staff of 120, there are just two nuns remaining on the faculty. White navigated the transition from a faculty made up largely of members of the religious order, who served for love, to lay teachers, a financial challenge that has tripped up some other Catholic schools. White shepherded Sacred Hearts into a new age, adding a student center, performing arts center, visual arts center and multiple science and computer labs. She spearheaded programs for girls in science, technology, engineering and math. “She has served as a mentor and positive role model to thousands of Hawaii’s young women, inspiring them to become leaders with character in our communities,” Lau said. 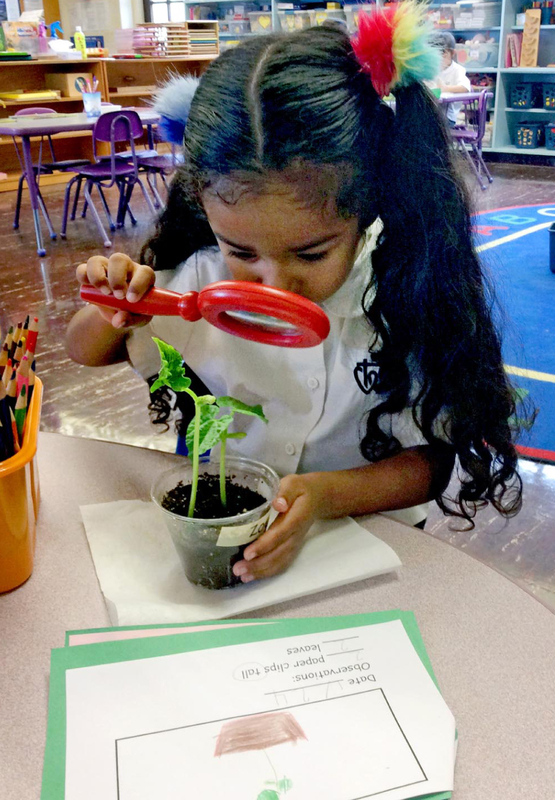 The Junior Kindergarten (JK) students in Sandy Arnobit’s class were thoroughly engrossed and intrigued during their recent explorations focusing on the “fantastic” world of plant life. This in-depth study entailed participating in a variety of hands-on activities, including carefully planting their own “crop” of beans.The students diligently cared for their new plants and were extremely excited to observe the growth and changes as the new “life” took roots. After these in-depth examinations, the kindergartners recorded their observations in their journals. Their notations often included the height of the stalk or the amount of leaves that were visible, and many even further documented the changes with color-accurate illustrations of developments. What an honor! Honor Choir that is! 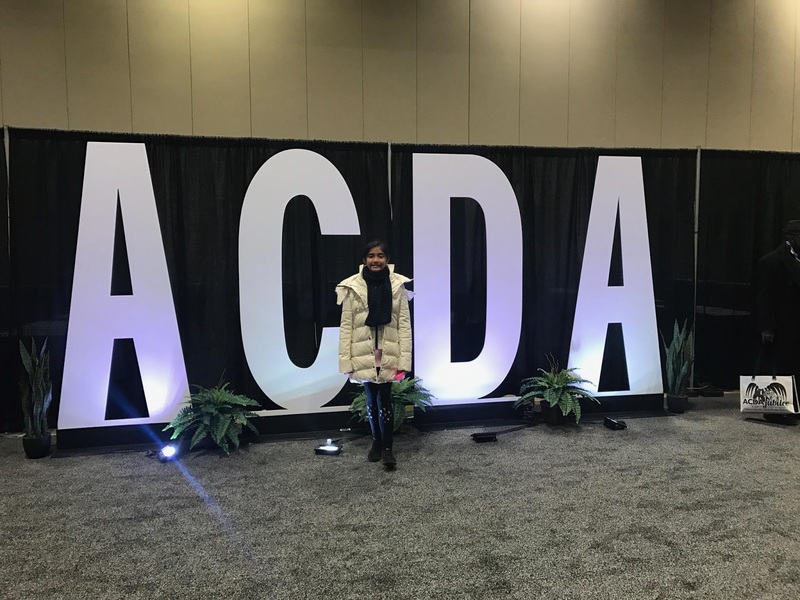 Sacred Hearts Academy's Rochelle Narciso, daughter of Academy Housekeeper, Josephine "Josie" Narciso, was selected to participate in the ACDA's Honor Choir. Last October Rochelle sent in an audition tape that included her singing a scale going up & down along with a song of choice that song that showcased her vocal talents. After competing among 1000+ children from the entire U.S. for a coveted spot in the Honor Choir, Rochelle was selected! We wish her safe travels as she head to Kansas City to rehearse with her fellow honor choir members.